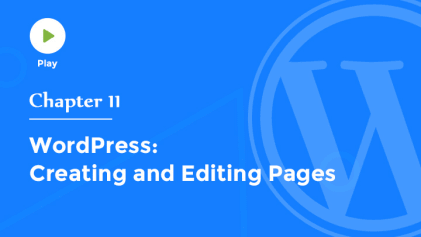 In the previous video, we created our first post in WordPress. But there are also a number of different post formats. Which enable you to create specific types of posts, each one with its own unique style.Most often, you'll find yourself creating a standard article, which is made up of a title and the body content. But you can also create an aside, which is just a quick thought, or a side topic. Or you can upload a photo or image, a video, a quote, a link to another website, a gallery of photos or an audio file.Selecting a post format automatically changes the style or appearance of the post provided your theme supports them. Now these post formats are all available to theme developers. But your theme may not include support for these individual post formats. Or, the designer of your theme may not have created specific styles for each of these post formats. In which case, you won't see a difference when choosing between them. 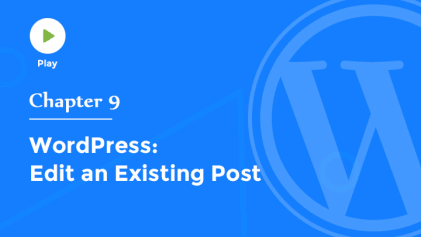 The post format determines how a post will be displayed on your site. For example, this is a standard blog post with a featured image at the top. And this is an image post. Perfect for showcasing a photograph. Here's a video post with an embedded video from YouTube. And this is an example of an aside, just a simple text snippet for sharing a quick thought. And here's a quote, easy to read with the author cited below. As you can see, each of these post formats is styled a little differently. Making it easier for your readers to quickly identify the type of content they're looking at. Now, if you don't plan to use the various post formats, or you just want a standard blog with articles, you can hide the post format chooser altogether from the screen options tab at the top. And remember, you can re-enable post formats at any time. Now that you're familiar with post formats let's move onto the next video where we'll learn how to edit existing posts.